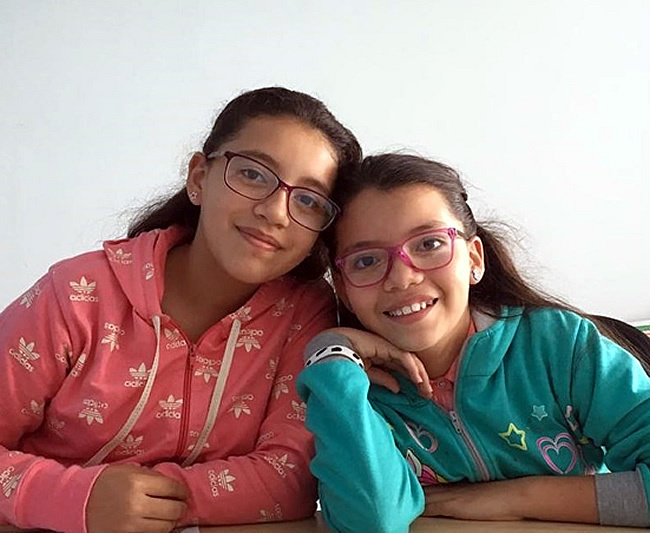 Lori, age 11, and Emily, age 13, are loving sisters who support each other. Lori, 11, is an affectionate girl who likes to jump rope, watch TV and play with her friends. She is sociable and likes to meet new people. Lori cares deeply for her friends and maintains strong bonds with them. She is in the 3rd grade and is an eager learner. Lori is ready to meet a family that that will love her and open new opportunities for her. Emily, 13, likes to watch TV, go on walks, and play with her friends. She is a respectful, goal-oriented, and expressive child who always sees the best out of every situation. She is a natural leader and is described as a social butterfly by her peers. Emily always seeks to have new friends and is always eager to play games with her peers. She hopes her new family will give her joy and happiness. Lori and Emily are ready to meet a family that will allow their bond to remain intact. They hope to meet a loving family during their summer visit.